New York, NY - April 10, 2014 - U.S. Senator Charles E. Schumer announced today that the U.S. Food and Drug Administration (FDA) has heeded his call, as well as the repeated requests of U.S. honey producers, to crack down on the misbranding and adulteration of honey. The FDA has proposed new guidelines to ensure that a product can only be labeled honey if it is made from nectar; a product cannot be labeled as “honey” if it has anysweeteners, sugar or corn syrup added. These guidelines will help FDA, Customs and other enforcement agencies crack down on mislabeling and “honey laundering” by producers in China and other countries that undermines Upstate New York honey producers. 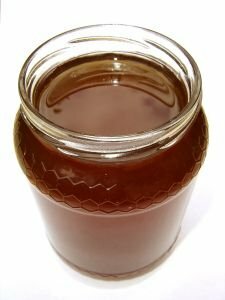 Schumer added that defining what can be properly labeled as honey is critical to Upstate New York honey producers that produce authentic honey, because tainted products undermine the industry and can also be sold for less because they are often only made of sugar, water and other cheap additives. Schumer pointed to the fact that product adulteration, mislabeling and honey laundering are dangerous to the consumer, citing a 2010 seizure of 64 drums and $32,000-worth of contaminated honey that occurred at a Philadelphia distribution center. It was imported by California-based Sweet Works Inc. from Cheng Du Wai Yuan Bee Products Company Limited of China. The product was contaminated with a potent antibiotic, and if allowed into the marketplace would have been severely detrimental to public health. FDA testing of the seized product showed that it contained the potent antibiotic chloramphenicol, which is not approved for use in food, animal feed, or food-producing animals in the United States. Antibiotics may show up in honey when beekeepers feed them to their bees. Chinese bee keepers are known to feed chloramphenicol to their bees to control certain bee diseases such as foulbrood, a bacterium that infests the mid-gut of an infected bee larva. New York’s honey industry is one of the nation’s largest, ranking 16th in total production, and serving as the Northeast’s largest beekeeping state. New York’s honey producers manufacture over 2.6 million pounds of honey and rack up approximately $5.3 million in sales, all while employing thousands of people. Despite the fact that New York has a robust honey industry, it has been severely strained over recent years as cheap honey from China that is labeled as “pure honey,” but is not, has flooded the U.S. market. For example, the United States Department of Agriculture (USDA) keeps track of total sales from the honey industry and, over the last five years that final sales figures are available (2003-2007), there was a 36.4% decline, which coincides with the beginning of China’s ‘honey laundering’. U.S. honey producers first petitioned the FDA to set a federal standard for honey in March 2006. In response to written questions submitted after a June 2009 hearing in the House, Hamburg promised to finally act on the request by the end of that year. Exactly one year later, the FDA had set other federal standards—including one for olive oil—but did not define what constitutes pure honey. Meanwhile, individual states began acting on their own, however the need for a clear federal standard remained because overlapping state laws creates an unwelcome situation where honey growers face a patchwork of differing standards across the 50 states. Schumer has long said it was far preferable for the FDA to issue one national standard. Food standards like the one Schumer pushed for honey are used to ensure that products sold under particular names have the characteristics expected by consumers. The FDA has established over 280 food standards of identity, for everything from parmesan cheese and grape jelly, to milk chocolate and maple syrup. FDA food standards provide label declaration of ingredients used in the food. Products that do not conform to the FDA standard may not be labeled or sold as the standardized food. Subject: LongIsland.com - Your Name sent you Article details of "Schumer Announces FDA Has Heeded His Call and Will Tamp Down on Honey Laundering"